Misophonia is a neurological condition in which one or more specific sensory events elicit a response leading to a strong, negative emotional response. 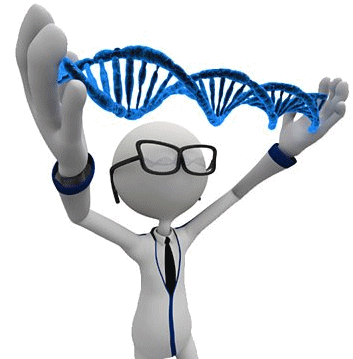 That response process consists three key elements in a sequence of five components: sensory input – neurological link – a physical reflex – neurological link – emotional response. Misophonia, as a word, was coined not so long ago: it was named by two American audiologists, Pawel and Margaret Jastreboff in 2001. The couple noted that some individuals responded to certain sounds – mentioning chewing, tapping and coughing, amongst others – with unexpectedly high levels of irritability and often anger. These patients were identified as responding in this way to pattern-based noises. The Jastreboffs described the condition and gave it a name and, to an extent, defined it as a purely sound-based phenomenon. It was found by many – those having the condition and those endeavouring to help them – that some of those having misophonia were also similarly affected by things they saw. Movement of the jaw or yawning, for example. Initially assumptions were made that these so-called visual triggers were interpretations of behaviour linked to sounds – sound of chewing linked to movement of jaw. But responses to a swinging foot, scrolling on a smart phone or twiddling hair turned out to be just as common and clearly not associated with an auditory event at all. 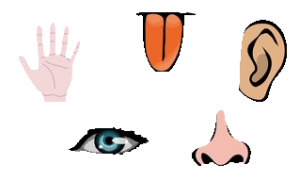 Since around 2013 individuals with touch issues – kinaesthetic responses – as well as olfactory (smell) have been recorded in clinical practice. 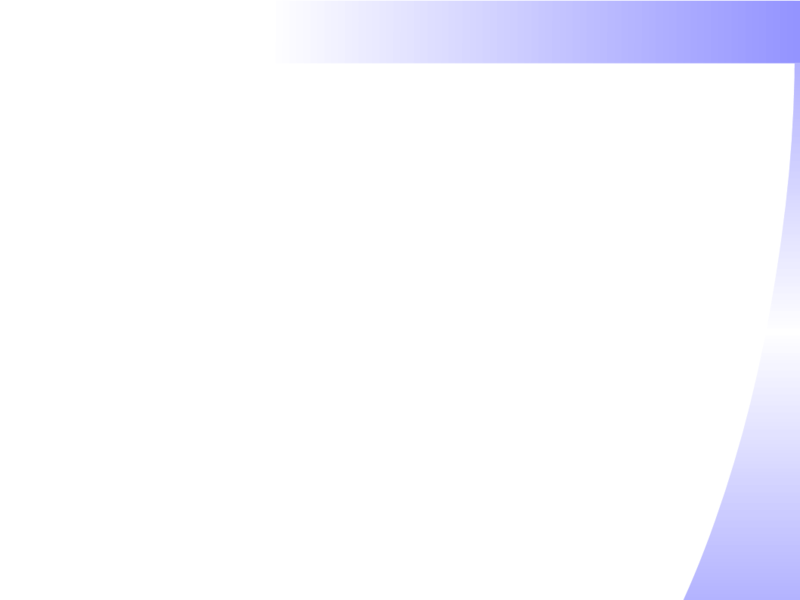 Often these are unique – an unwanted, unpleasant response to a smell and no other symptoms of misophonia at all, for instance. It is likely, I’d suggest, that misophonia is a condition with response initiated by any of the five physical senses: we have much more control over what we put into our mouths and that may explain the absence of gustatory or taste-based responses. 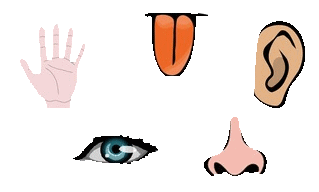 It is important here to note that many of the research studies have recruited their cohort advertising for individuals, asking “Does other people eating drive you crazy?” or “Can’t stand people sniffing?” Those lines of approach do not encourage those with visual, olfactory or kinaesthetic issues. Though the Facebook groups – and they represent thousands of sufferers not to mention parents of younger children – recognise these other areas of response. Even to the point of suggesting there may be misokinaesthesia perhaps. It took until a few years ago to give this condition a name at all: let’s not get hung up on the word we use – let’s find out as much as we can about its aetiology, symptoms and effective treatment. The work of the Jastreboffs made important distinctions between those who, for instance, have hyperacusis and who responded to mostly loud sounds, experiencing pain , and those with misophonia who feel extreme emotion hearing soft, often repetitive sounds. That, in itself, promoted the concept that what is now called misophonia is a separate condition. In my own view it is clearly not an auditory condition and it is not a psychiatric condition: it is neurological and acquired environmentally. 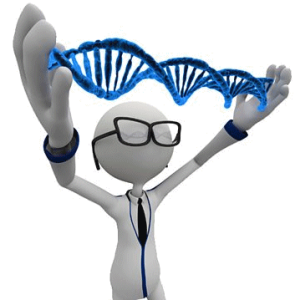 There does appear to be a hereditary component and it seems likely that there is a genetic predisposition to misophonia – epigenetic and switched on by life’s events and not defined absolutely by a person’s gene pool. Therapists each have their own model of therapy – a school of practice and their own approach, perhaps. 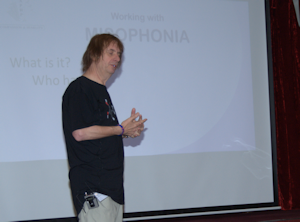 Since the Jastreboff publication in 2001 and later definitive work by Schröder and others in The Netherlands there has been a tendency to establish ownership of misophonia in one domain or another. This may have hindered real progress in some aspects of treating the condition – it is quite clear, perhaps, that promoting techniques specific to audiology are unlikely to benefit a person whose life if made unbearable by seeing others touch their face. Recognising misophonia as a neurological phenomenon allows us to immediately choose neuroscience as the basis for treatment, whatever our clinical or academic background. Misophonia develops when the brain creates neural networks and routes through those networks that become powerful, uncomfortable default responses. Every time the response is repeated it becomes stronger and the neural activity occurs more rapidly, making the default more certainly the response taken. That’s why exposure, when used in therapy, must be very carefully and skilfully managed as simple reactivation of the response serves to strengthen it: as a rule of thumb, exposure makes misophonia worse. The therapies that provide genuine benefit to those having misophonia seem to clearly be those that are rapid and deep. To some traditionalists this may seem to be promoting two mutually-exclusive aspects of therapy since being deep once was considered to be possible only with long-term work. Bruce Ecker, writing with Laurel Hulley, published a ground-breaking book, Depth Oriented Brief Therapy: How to Be Brief When You Were Trained to Be Deep and Vice Versa in 2001. 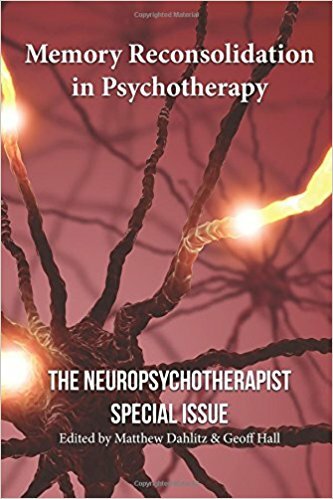 (ISBN 978-0787901523) Ecker is, of course, a name associated with the blossoming of neuropsychotherapy (NPT) and its effective use in promoting transformational change. If you’re interested in this subject, read his more recent book, Unlocking the Emotional Brain: Eliminating Symptoms at Their Roots Using Memory Reconsolidation, ISBN 978-0415897174, explaining how memory reconsolidation brings about that very transformational change we seek. What is remarkable about neuropsychotherapy is that it is not tied to any specific therapeutic domain, it is an approach that may be applied to any empathic therapy. The development of a therapy defined by its applicability to misophonia and underpinned by neuroscience is then very likely to be the ideal. Read about diagnosing and assessing misophonia or therapy using sequent repatterning. The definitive text by Pieter Rossouw, is usually referred to simply as Neuropsychotherapy, ISBN 978-1502744920. 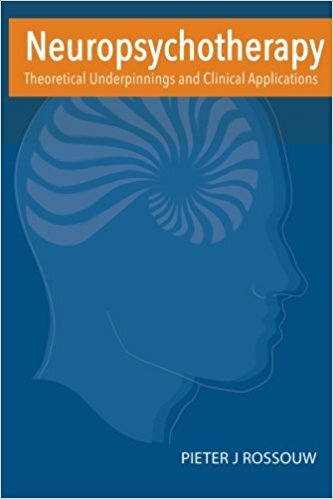 More correctly, its title is Neuropsychotherapy: Theoretical Underpinnings and Clinical Applications and it was first published in 2014. Professor Pieter Rossouw and others present a coordinated and integrated approach to neuropsychotherapy based upon many years of clinical practice, building on and enhancing the ground-breaking work of Seymour Epstein and Klaus Grawe. Dr Rossouw is Professor of Education at University of Queensland as well as being Director of the Neuropsychotherapy Institute. An exceptionally useful review and guide is a collection of pieces from the journal, The Neuropsychotherapist and from the International Journal of Neuropsychotherapy. It has the title, Memory Reconsolidation in Psychotherapy: The Neuropsychotherapist Special Issue: Volume 1 (The Neuropsychotherapist Special Issues). Its content includes material by Bruce Ecker, Robin Ticic, Elise Kushner, Kymberly Lasser, Ricky Greenwald, David Feinstein and Matthew Dahlitz who wrote the preface and edited the book with Geoff Hall. 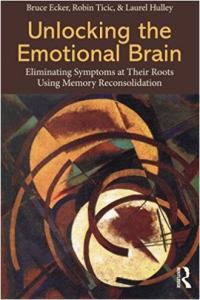 Its ISBN is 978-1506004341, first published in 2015 it is an inexpensive paperback filled with wonderful insights and an understanding of how reconsolidation in brief, deep therapy can bring about transformational change when emotional memories are driving unwanted symptoms.